When it comes to selecting the best childcare for your kids, the number of daycare centers nearby can be overwhelming. While there are many providers to choose from, choosing an in-home daycare or family daycare can have advantages over other childcare alternatives. At A World of Discoveries, our in-home child care in Columbia, MO strives to offer parents high-quality and affordable childcare for their children whenever they need. 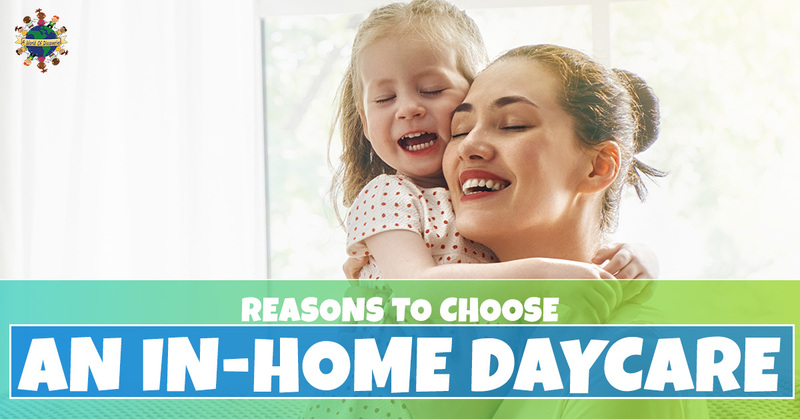 In this blog, we are going to highlight some of the advantages of choosing an in-home daycare nearby. As a parent, you want to ensure your child is receiving the best care possible while you are at work or running other errands. At in-home daycares, teachers — and sometimes assistants — care for a small group of children in a home-like environment. While the teachers may build special relationships with each child in their care, at the same time each child is a priority and receives the same quality of care as the others. Teachers work to ensure the kids are comfortable, having fun, and learning. When parents use the services of a large daycare center, it can be difficult to communicate with the teachers about their children. Plus, it is unlikely that the teachers will be able to form special bonds with the kids with so many children in their care. With home daycare providers, parents typically have the opportunity to interact with the same caregiver or teacher at drop-off and pick-up. This makes communicating more simple. Similarly, for children, at-home childcare providers become someone that they can trust and feel comfortable and safe with. Lastly, the child care providers also become a great source for support and advice for parents. They work together as a team to create behavior, social, and educational goals for the child. Unlike daycare centers, which tend to have high staff turnover rates, a home care provider is dedicated to their business and is someone parents can rely on for quality care. In-home daycare providers offer a comfortable home-like setting where a child will be one of only a small group of children. Opposed to large daycare groups, this type of setting gives children the opportunity to get more individualized care and spend more quality time with a caring adult on a consistent basis. Receiving this type of care can help promote a child’s social and emotional growth through affection, security, and trust. Additionally, it also allows for childcare providers to be more flexible in the daycare services offered, as well as the activities that take place throughout the day. At-home daycares also accept a variety of ages and mixed age groups that are more comparable to a natural family environment or real-life situations. The diversity in age allows children to learn from each other, and there is less competitive behavior between them since they are at various learning levels. These are just a few of the many reasons to choose an in-home daycare for your child. If you need an in-home daycare in Columbia, MO contact A World of Discoveries today!